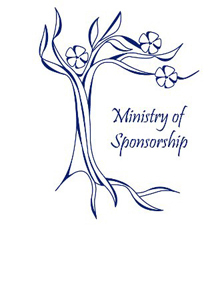 On May 7, we Sisters of Annunciation Monastery will host our fourth annual Sponsorship Formation Event. We commit to furthering the mission and values within our sponsored ministries: St. Alexius Medical Center, Garrison Memorial Hospital and the University of Mary. Board members, administration and staff who serve at these Catholic, Benedictine institutions, as well as Bishop David Kagan (Bishop of Bismarck), and the Sisters of Annunciation Monastery will gather for an important day of learning and collaboration. The goal is to ensure the furthering of the healing and teaching ministries of Jesus and sharing the mission and values within the institutions. The theme of the day, "The Challenge of Ethical Living," will be presented by J. Michael Stebbins, Ph.D., senior vice president of Mission Services for Avera Health, a four-state health care system headquartered in Sioux Falls, S.D.